That’s what I do, I drink and I print things. 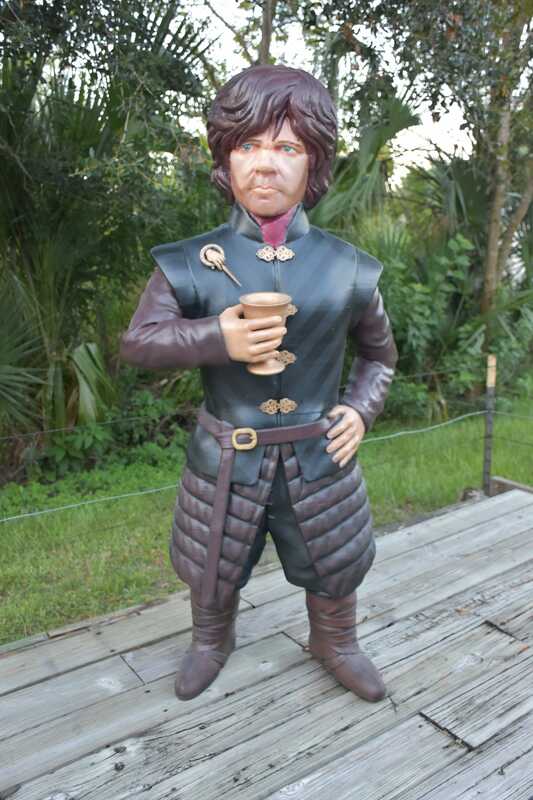 A 3D printing enthusiast has unveiled his latest creation, a life-sized version of Peter Dinklage’s Tyrion Lannister from Game of Thrones — which now gets to chill in his backyard drinking booze and sharing bawdy tales by the fire. Only don’t let him get too close. He might melt. 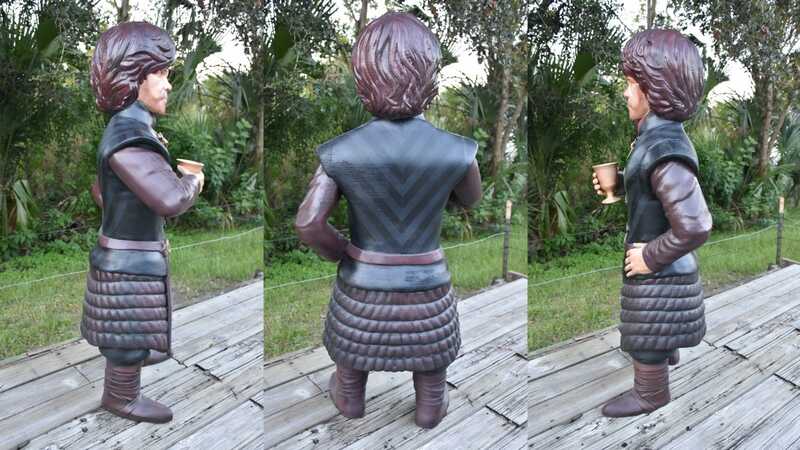 Thingiverse user Jeff Christianson, or Sir Ken, shared the design and end result for his 4'5" 25-pound Tyrion Lannister figure that he built using his Creality CR-10s 3D printer. He based his creation on another design, but this one was much, much bigger — taking over 1,400 hours to print the 10 pieces needed to make the finished product (and that’s not including all the sanding, filing, and layers of paint). The full image of the Tyrion Lannister figure, complete with goblet. Christianson said this was his first attempt at airbrushing a human face. An image of the model for the 3D printer. It’s broken up into 10 pieces. Full design is available online. The back and sides of the final figure, which matches actor Peter Dinklage’s height. 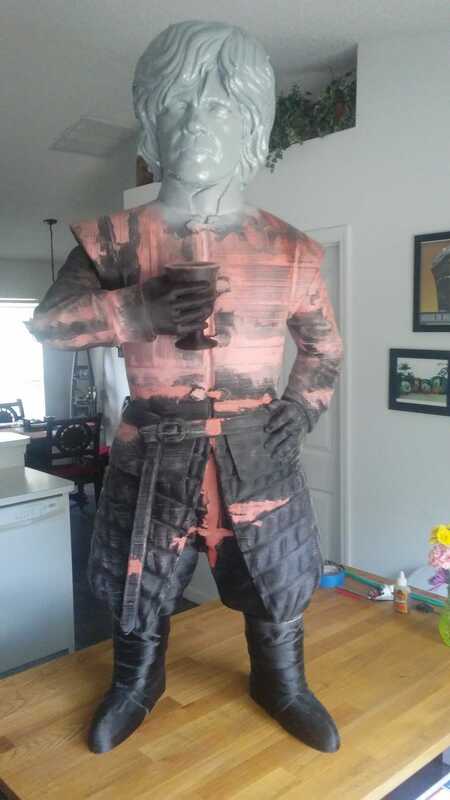 Christianson told Gizmodo via email that he mainly chose to do a Tyrion Lannister figure because he wanted to experiment in facial painting, but his Game of Thrones fandom definitely played a part. Now that the Tyrion Lannister figure is done, he is working on sewing him a cloak, then he and his wife are thinking of taking him cross-country in an RV, photographing him with different American landmarks like Mount Rushmore and the Grand Canyon. Possibly for a YouTube series. But in the meantime, he’s busy protecting the Realm — or actually, not. Soon, you might be able to join him on the road with a Tyrion of your very own. 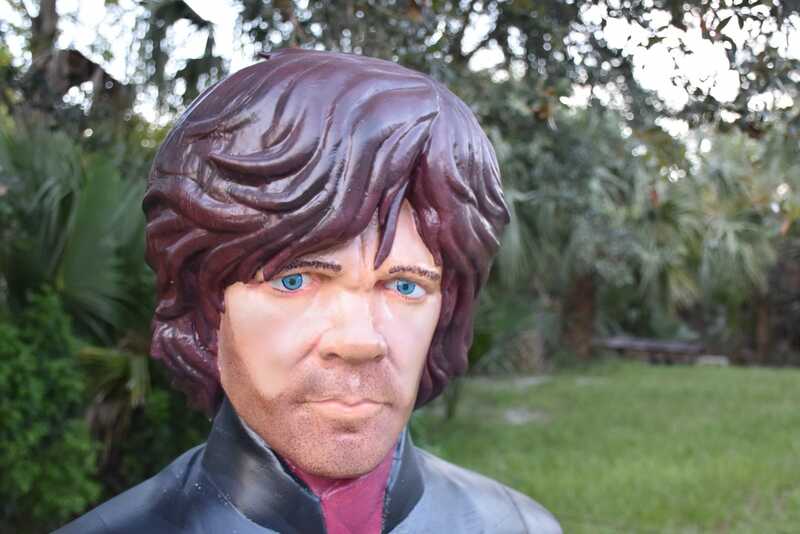 Anyone with a 3D printer and a bit...ok, a lot of time on their hands can try making the Tyrion Lannister figure themselves — Christianson has put his entire design on Thingiverse for free.